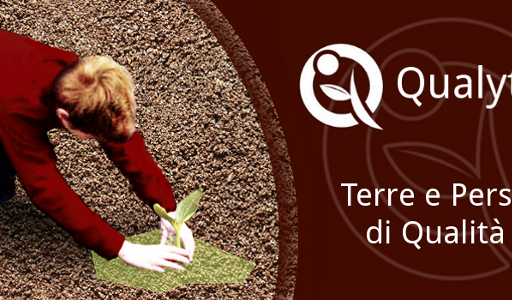 Qualyterra is an initiative launched by CRESM, along with other partners, as part of a series of activities involving a large number of actors, companies and stakeholders, which aims to contribute to the integrated and sustainable local development in a global perspective (“Glocal Development“). 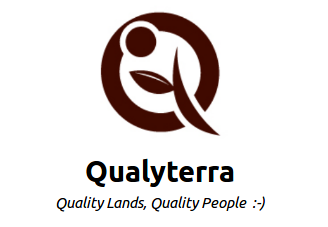 Qualyterra is also a community of producers, companies and farms, consumers, people interested to quality of “products of lands”, born to promote stories, territorial and cultural contexts, typical characteristics. contributing to the safeguard of healthiness and genuineness of the products of the lands. To achieve these objectives, Qualyterra relies on the interaction between a social network community (facebook.com/qyterra) and dedicated web applications (www.qualyterra.com). Importance of the added value represented by the quality of the people who take care of the lands and their products, quality that yelds curiosity, pleasure and amazement of knowing peculiarities, stories, traditions, recipes, routes, authentic treasures of a genuine and essential rurality, information to continually renew and share (dynamic human factor). Importance of subjective feed-backs on the quality of products and producers. Importance of auto-traceability and transparency demonstrated by producers, as shown by a series of factors that contribute to the reliability and trustworthiness, such as documentation on the origin of products and production processes, availability to welcome visitors, authoritative references, network memberships and more. These principles also represent the compass for orienting the development and the evolution of the activities carried out by Qualyterra, including the IT applications. The application Qualyterra.com is a system designed like a social network dedicated to “products of lands“, with a lot of innovative features for the promotion and sale of local peculiarities into an international dimension. Every product, from food to natural cosmetics, is considered as a resource that has a space and a dedicated Internet address, to which the producers can easily associate selected contents from social networks. Producers and their stories are therefore the protagonists of the contents carried by Qualyterra.com, structured to effectively communicate the added value of the “quality of people“. Qualyterra.com gives particular importance to the geo-referencing of the production sites, also as single plots of land from which the products originate. This allows to relate the history of the products with the cultural context and environment of its territories of origin. The geo-referenced mapping of products, plots of land and producers of Qualyterra.com, combined with the social network counterpart, represents an evolving atlas to discover, valorize and share new ideas and experiences. Moreover, Qualyterra.com offers complementary features to those of social networks (easy search tools for products and producers, management of reviews/ feedbacks, composition of products and their traceability, and much more) and of other e-commerce websites, with which it can interact in synergy, for example to dynamically integrate the informaton of product fiches or labels.